Real people. Real decisions. Real outcomes. Inspired by the actions of real-life decision makers at the Battle of Gettysburg, In the Footsteps of Leaders places your team on the front lines for an immersive experience on the historic battlefield. Together you will learn the lessons of communication, strategic planning, team building, adaptability and decision making that will determine either victory or defeat. Lessons of communication, coordination and collaboration expressed through the In the Footsteps of Leaders program make it a popular leadership course destination for Federal Executive Board (FEB) members. The two-day FEB program includes the tactical history of this great battle and provides an in-depth study of leadership styles and lessons that are applicable to today’s challenges. During the facilitated debrief on the second day of the FEB program, participants discuss the leadership lessons learned and how to apply them to situations faced in their careers. The Pittsburgh FEB, one of 28 FEB offices across the country, serves more than 100 agencies and more than 25,000 Federal employees in western Pennsylvania and northern West Virginia. The Pittsburgh FEB has co-hosted In the Footsteps of Leaders in partnership with the Gettysburg Foundation since 2010. 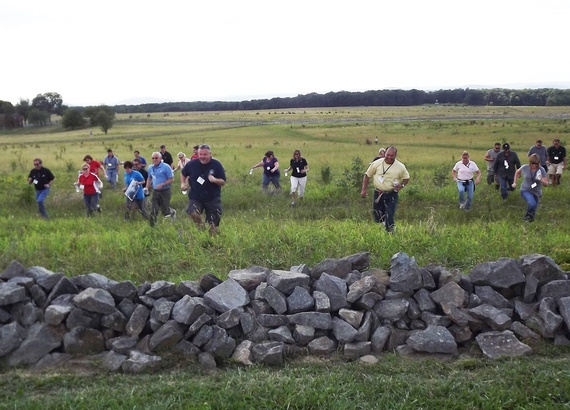 To date, more than 350 Federal employees and community partners have had the opportunity to walk the hallowed fields of Gettysburg and reflect on the leadership lessons from the 1863 battle that remain applicable today. 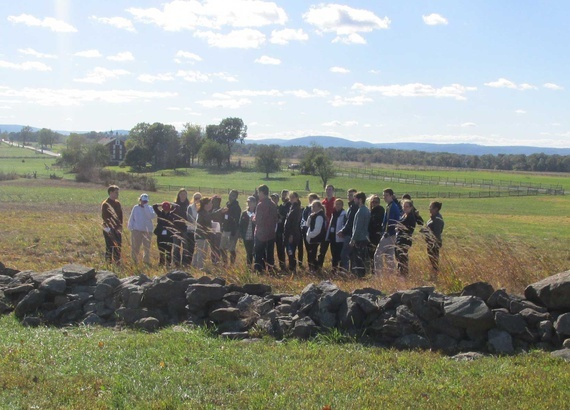 In the Footsteps of Leaders can be tailored to the individual needs of your organization—from a one-day encounter on the battlefield to a three-day event that utilizes Gettysburg National Military Park, the Soldiers’ National Cemetery, the town of Gettysburg and our state-of-the-art Museum and Visitor Center. We work with you on programming to meet your unique leadership education needs. A team of knowledgeable Licensed Battlefield Guides, licensed by the National Park Service, who weave battlefield history with the decisions made by military leaders. A full array of experiences at Gettysburg National Military Park Museum and Visitor Center including the film, "A New Birth of Freedom", historic Cyclorama painting, and 12 inspiring museum galleries. 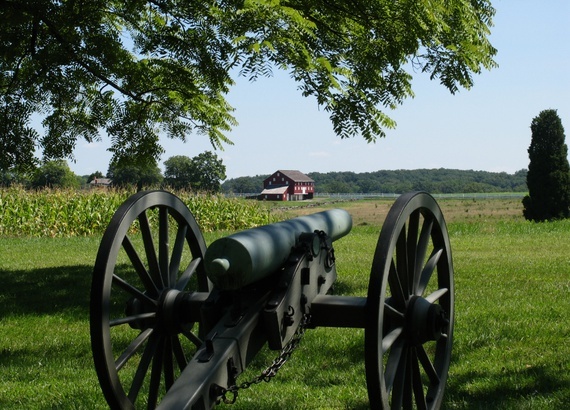 Access to historic structures on the Gettysburg battlefield through our partnership with the National Park Service. Meeting spaces for large or small groups with catering services. Meet our leadership experts who deliver a unique, customized experience for your organization. In the Footsteps of Leaders emphasizes essential precepts of decision-making: people, their decisions and the successful or unsuccessful results based on those decisions. For more information about In the Footsteps of Leaders and to plan your leadership program, call 717-339-2151 or email us.